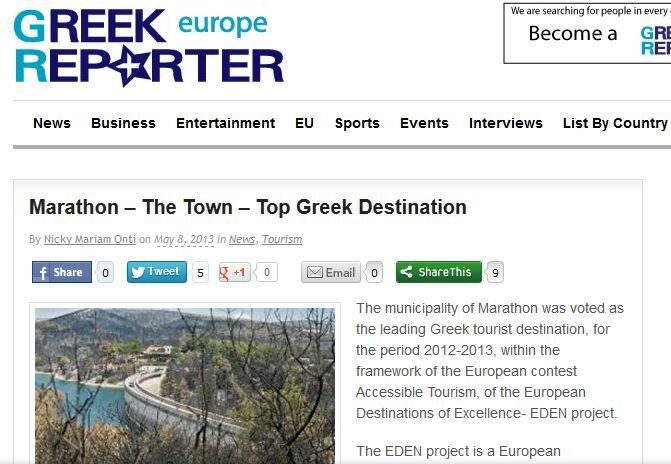 You are at: Home > News > EU EDEN Accessible Tourism Awards - The Town of Marathon is Itself the Winner! EU EDEN Accessible Tourism Awards - The Town of Marathon is Itself the Winner! Read more about the EDEN Awards 2012-2013 at our dedicated ENAT-EDEN page. A description of the award-winning features of Marathon will be published on this page, as and when the information becomes available.